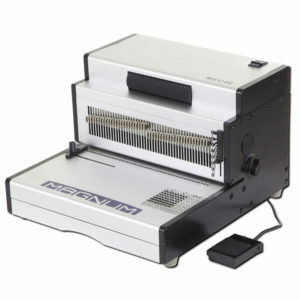 The Magnum Revolver 4 in 1 Binding System is a multi functional binder that combines wire, comb and spiral binding in to one machine. 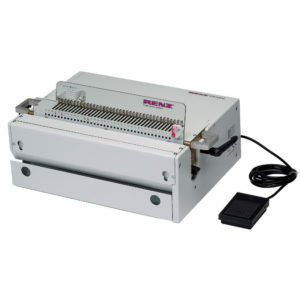 It will punch and close 2:1 and 3:1 wires, plastic combs and spirals/coils. 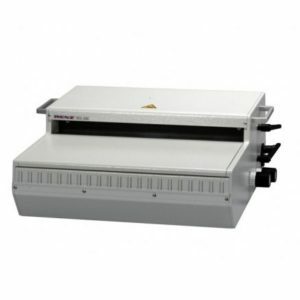 This machine is the perfect solution to busy offices that require multiple binding styles. The machine is heavy duty and users can be sure this is one of the most robust machines on the market with its all metal construction. 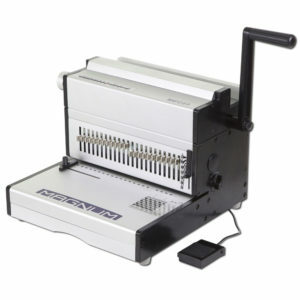 Electric Wire Binding system, designed for the busy copyshop or commercial printer looking to increase productivity. With the Magnum Binder, you can do the job quickly, easily and with consistent excellence. 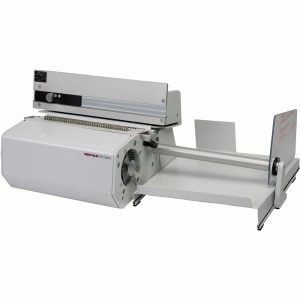 Designed for heavy usage, the binding systems will increase your productivity, output and turnaround. 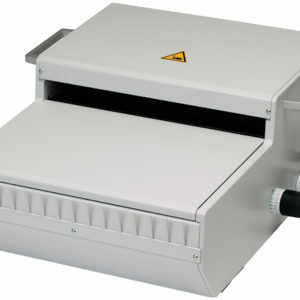 Electric Coil Binding system, designed for the busy copyshop or commercial printer looking to increase productivity. 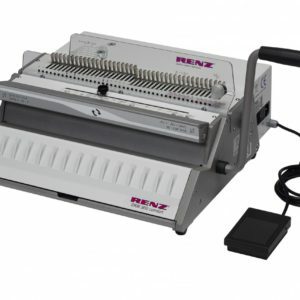 Renz eco 360 2:1 pitch electric punching and manual binding machine designed for regular use in a small to medium sized office. It takes the manual labour out of punching. 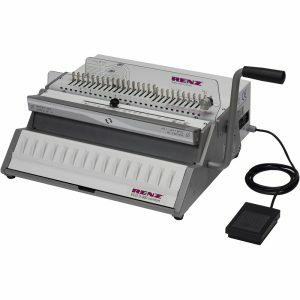 Renz SRW 360 Comfort 3:1 pitch electric punching and manual binding machine designed for regular use in a small to medium sized office. It takes the manual labour out of punching. Electric RENZ RING WIRE® closing machines, no effort required. 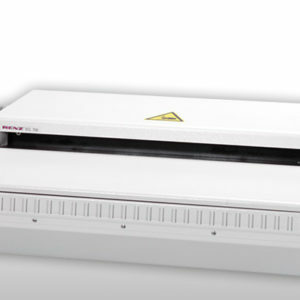 A user-friendly solution to wire bind all your products quickly and easily. 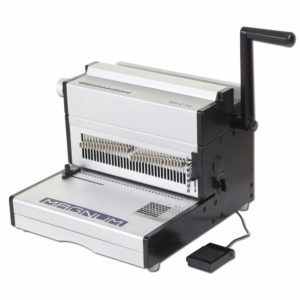 Fast and reliable, heavy-duty, semi-automatic, desktop punching machine. 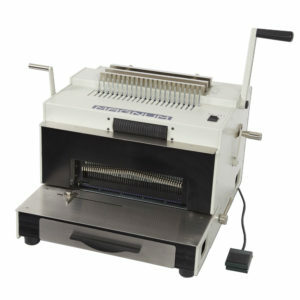 Very versatile machine for all types of book and calendar punching production. Call our sales team for a discount!